If Google has taken the idea of Google Glass and turned it into a hearable it would be a market leader by now. That's the view of Misfit founder and Fossil VP Sonny Vu, who is, it's fair to say, a big fan of wearable tech for the ear. "I've been talking about hearables for three years now. Sure enough in the last couple of years, multiple clusters of startups have sprung up doing hearables of sorts: sensing in the ear, artificial intelligence, assistance in the ear, really good music, and many flavours of hearables. I said it was totally going to happen and it's totally happened," he told Wareable. And Vu was right. In many ways 2016 has been the year of the hearable, with releases from Bragi, Samsung, Sony and a host of other companies, and a new report predicting the segment could be worth $45m by 2020. However, one hearable that hasn't seen the light of day is Vu's own, which has become a casualty of Misfit's merger with Fossil. The Misfit Specter was announced back at CES 2016, and performed much of the same functions as the company's fitness tracking tech – packed into a pair of headphones. But the plans have been shelved after the company's merger with Fossil. "We paused work on Specter. We got acquired and we just paused. Fossil Group is very focused on wrist worn wearables right now, trackers, display smartwatch's and hybrid smartwatches," said Vu. "The moment Google Glass came out it took me a bit to think about it and I'm like 'that's brilliant, it's just on the wrong part of the head'," Vu said. "Like, if they would have done Google Glass and put all that engineering firepower onto the ear, they would be so far ahead of where they are now. It's just they forgot that putting stuff in on your eyes is weird. Society doesn't have the social IQ to handle that." So if Google Glass would have worked better in the ear than on the face, what does Vu think of Snapchat's new Spectacles? "I have no idea if it will catch on. The video recording in real time…that's so much privacy stuff. I get the privacy question and I'm like 'all we do is measure steps, what's the big deal?' If you go in the bathroom and you record someone accidentally and that's serious stuff." 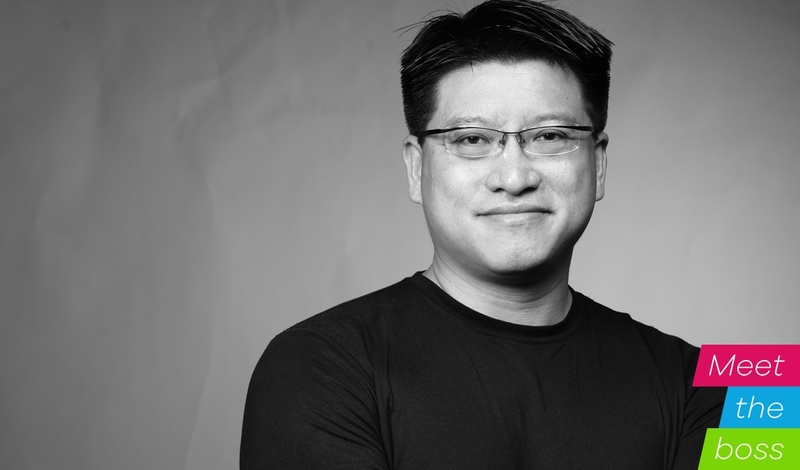 But Vu is still passionate about the hearables project, even though he says that the segment suffers the same problems as wearables when it comes to design – and could be even harder to make. "The hearables thing is hard. There's like no battery space. It's such a sensitive part of the body, so you can't be putting weird stuff there, have to be very careful with the materials. "If anyone's building a hearable hardware, I'd be like: you'd be better of building a robot." So is that challenge one that Vu and Fossil are going to take on? Unlikely, it seems, given that Fossil has little appetite for hearables. "I'd have to get everyone at Fossil to be into it, and I think they think it's a little weird. But we'll see. We have the IP. But there's a lot to do on the wrist right now," Vu said. Build quality and customer satisfaction is something Vu is also keen to focus on, and he points out that to date, many wearable tech companies aren't matching up with consumer's expectation. "If you look on Amazon and different categories of products, and take the average Amazon review, Bluetooth speakers will get 4-4.6 stars, that's unbelievable. Battery packs, mostly 4.5 stars. If you have a battery pack under 4 stars you're totally toast," he said. Vu then called into question some of the average Amazon ratings of some of the leading fitness trackers. "The Fitbit Flex is like 3.7 stars, the Jawbone UP3 is as low as 2.9. When was the last time you bought something under 4 star? Let alone under three stars. So why are wearables on average so low? Because consumer expectation is probably not in line with what the industry can deliver at the moment. And that customer expectation issue is also still to be rectified at Fossil. By the same metric, scores of Fossil Q Founder, Wander and Michael Kors Access ranges between 3.1 and 3.9 stars, and the Misfit Ray earns a rating of just 3.2. Clearly, there's work to be done by everyone. But Sonny's views will be music to the ears of those making and buying hearables – even if Fossil doesn't follow his advice.